Expectations and Experiences: Children, Childhood and Children's Literature. Edited by Clare Bradford and Valerie Coghlan. Lichfield: Pied Piper Publishing, 2007. 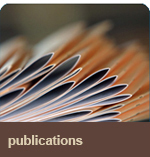 Children's Literature Global and Local: Social and Aesthetic Perspectives. Edited by Emer O'Sullivan, Kimberley Reynolds and Rolf Romøren. Oslo: Novus Press, 2005. Change and Renewal in Children's Literature. Edited by Thomas van der Walt, assisted by Félicité Fairer-Wessels and Judith Inggs. Westport (CT) / London: Praeger Publishers, 2003. Children's Literature and the Fin de Siècle. Edited by Roderick McGillis. Westport (CT) / London: Praeger Publishers, 2003. The Presence of the Past in Children's Literature. Edited by Ann Lawson Lucas. Westport (CT) / London: Praeger Publishers, 2003. Reflections of Change: Children's Literature Since 1945. Edited by Sandra L. Beckett. Westport (CT) / London: Greenwood Press, 1997. Aspects and issues in the history of children's literature. Edited by Maria Nikolajeva. Westport (CT) / London: Greenwood Press, 1995. Portrayal of the Child in Children's Literature. Proceeding of the 6th conference of IRSCL held in Bordeaux, France, 15. September 1983. Edited by Denise Escarpit. New York: K.G. Saur, 1985. Responses to Children's Literature. 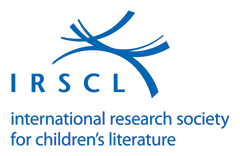 Proceedings of the Fourth Symposium of the International Research Society for Children's Literature. Edited by Geoff Fox and Graham Hammond. New York etc: Saur, 1980. Children's Books in Translation. Edited by Göte Klingberg, Mary Ørvig and Stuart Amor. Stockholm: Almqvist & Wiksell International, 1978. Internationales Symposium für Kinder- und Jugendliteratur vom 18.-22.Oktober 1971 in Frankfurt am Main. Herausgegeben von Klaus Doderer. Frankfurt am Main: 1972.